I've enjoyed sharing original messages to write in cards for over 8 years. You can send me a thank you card if you find my words helpful. Having a tough time writing a thank you card? You're not alone. It can be difficult to know what to write, and some people neglect writing them altogether because they can't think of what to write. Don't fall into this trap! Feel free to use them the way they are or tweak and edit them to your liking so that it fits you and the receiver. 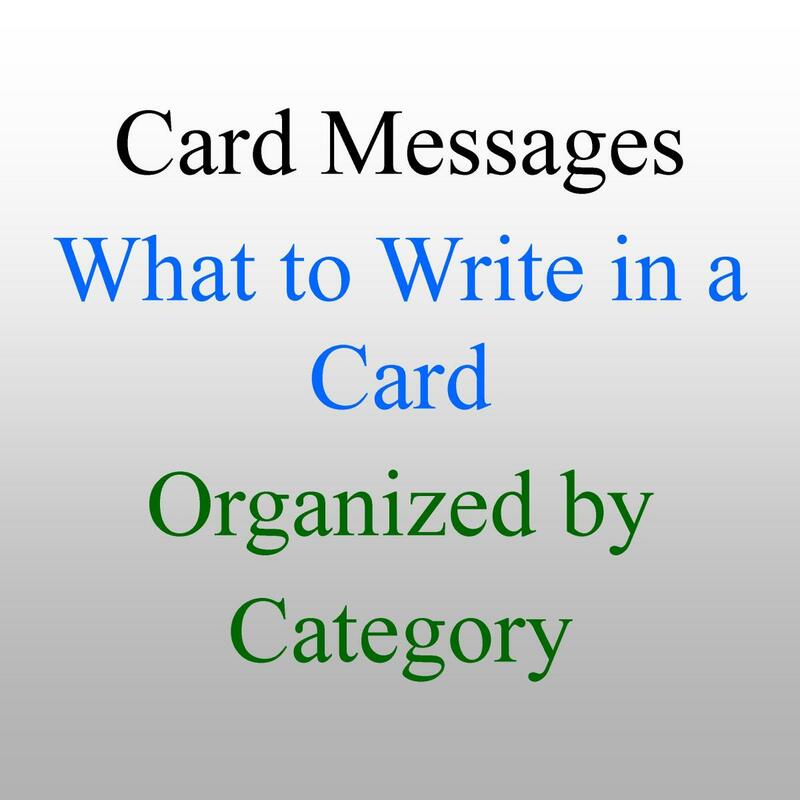 Lastly, don’t worry too much about what you write in your card—it’s always better to send a card than to not send one! Below are some general phrases if you want to keep things short and sweet. You can also expand on these if you'd like. Words can't describe how thankful I am. Thanks for being there when I needed you. I want to extend my gratitude. "Thank you for the generous gift. You didn't have to, but you're the kind of person who does, and I really appreciate it." "Many thanks and gratitude for your gift. I'm very lucky to know you and feel incredibly blessed." "Somehow you knew exactly what I wanted, and I didn’t even know what I wanted. You’re an amazing gift giver. Thanks so much!" "You nearly shocked me when I opened my gift. I couldn’t believe what you’d given me. You knocked my socks off. I'm so grateful to have a friend like you." "I was so touched when I opened your gift—you left me speechless! Thank you so much." "I'm very grateful for the gift that you gave me. Please know that it definitely did not go unnoticed and I'm glad to know someone as generous as you. Thank you!" "Thank you, thank you, thank you. Your gift meant the world to me but not only that, I'm thankful to have a friend like you and hope we get to hang out soon." "You mean a lot to me and so did your gift. Thank you so much!" "I was so touched. 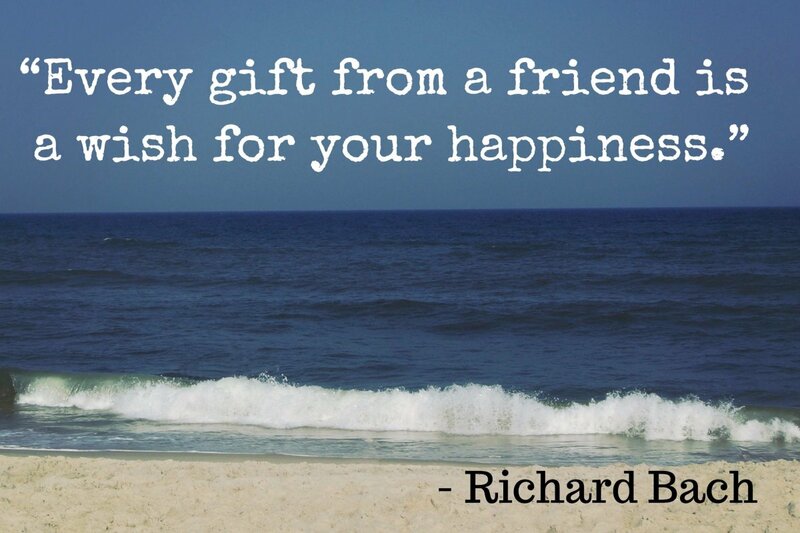 I'm very grateful to have you in my life and will put a lot of use into your gift." "Giving a gift like that should be illegal. I'm surprised you haven't been placed under arrest for your excessive generosity. Thank you!" "I don't know what you were thinking when you gave me this gift. You must either be crazy or really generous to have done that. Since I know you aren't crazy, that leaves generous. Thank you so much." "You made my day when I opened your gift/card. What a fun/terrific gift. Thank you for making my day." "You made me feel so special when I opened your gift. I knew that you spent time, effort, and energy to make sure it was awesome, and it was just that. Thank you." "Thank you for the much-needed _________. I was so pleased when I opened your gift and just knew you'd be the kind of thoughtful person to get me something like this. Thanks." "Perfect is the word that comes to mind when I try to describe your gift. I don't think I myself even could have gifted anything better. Thanks for knowing me so well." "Your incredible generosity and thoughtfulness shone through in your card. You didn't have to do that, thank you!" "Thank you for knowing me so well and for the perfect gift. One of the best presents I've ever gotten!" "You never fail to surprise me. Thank you for such a terrific gift." Performed services or acts are another common reason to thank someone. Whether someone helped you to move, drove you to the airport, or offered you support during a difficult time, it's always nice to know their time and efforts are appreciated. "You are a blessing from God. I don't know any other way to explain how much your help means. I don't know what I would do without you. Thank you." "Thank you for your help. 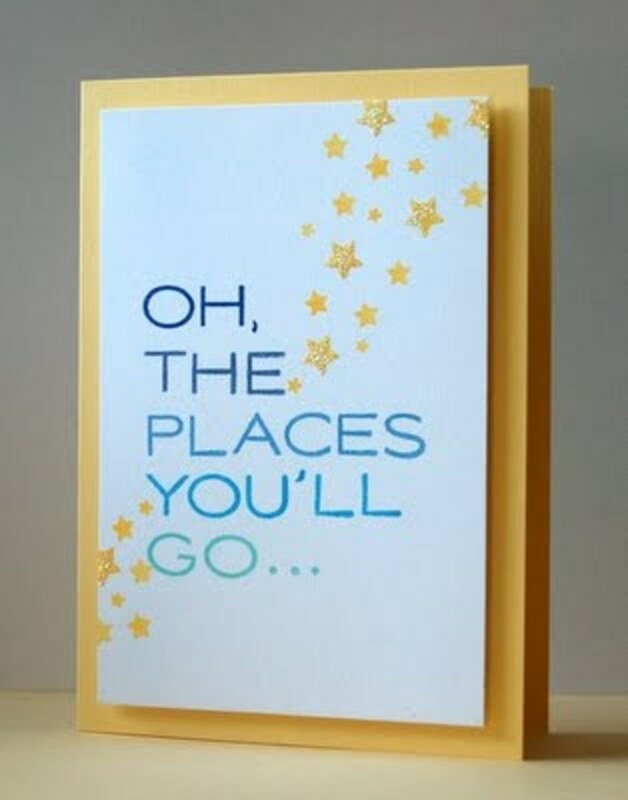 Please accept this card as a symbol of my sincere gratitude for everything you've done." "I'm so blessed to have you in my life. Thank you for volunteering all your time and efforts to help me out. I'm incredibly grateful and won't forget this." "I'm very lucky to have a friend like you. My deepest gratitude for all your help—you're the best! Thank you." "The gift of your help/time/support means more than anything money can buy. I really appreciate all that you've done and hope this card provides a small token of my gratitude. Thanks!" "Thanks so much for all your help when I know you're already so busy. People like you are rare and I'm very lucky that you're in my life." "You are a rare kind of generous. I'm having a hard time putting my gratitude into words but I hope you know how much I appreciate all your help. Thank you so much." "You have given me the gift of encouragement and hope in a difficult time. I am so grateful for your support. Thanks for being there for me." "I'm having a hard time putting my gratitude into words. Thank you so much for your support. It means the world to me that you'd do that." "I don't know how to properly show my appreciation, but I hope this message is a start. Thank you for your friendship and your help." "Thank you very much for helping me out when I needed it. You helped more than you think you did and I hope you know I'm very grateful. Thank you, again." "Thank you for all that you've done. If ever you need me to return the favor, know that I'm here. You're a great friend." "I was so touched by all the support you've given me. Lunch is on me next time. Thank you!" "Your generosity did not go unnoticed. I'm very grateful for all your efforts and deeply touched that you'd do something so thoughtful. Thanks so much." "Thank you for all that you've done. It was a wonderful and touching surprise." "It was so nice of you to help me out. I really appreciate all that you've done and hope that this card will help me to express all my gratitude. Thank you!" "Thank you a million times over for your support. You went above and beyond and I'm blown away." "Saying thank you seems hardly fair considering all that you've done. I'm very touched and happy to have you in my life." "Please accept my thanks and this card for all that you've done for me. I'm very thankful." "You deserve so much more than just a thank you. Your help meant the world to me. So for starters, I want to thank you." Initial reaction. Make sure to mention your initial reaction to the gift or whatever the person did. Example: "I was really surprised by what you got me for my graduation gift." Compliment the recipient. Express your feelings about the gift or the person who helped you. Example: "You are a great friend who I feel I can depend on." 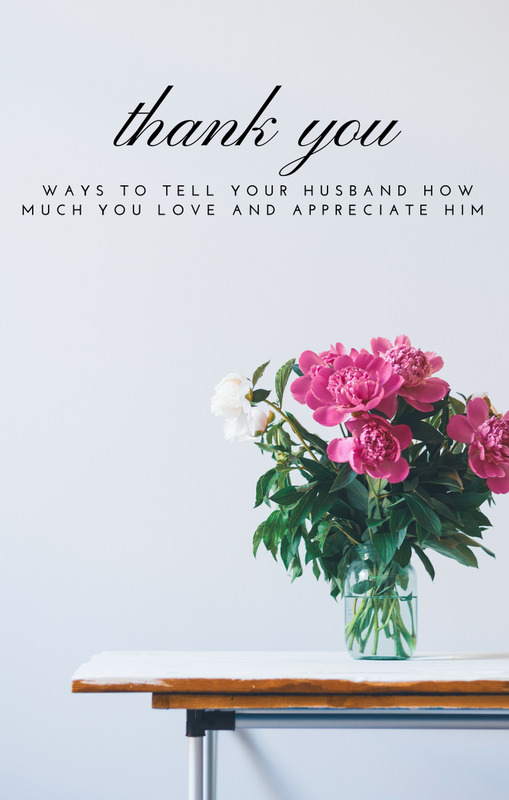 Give examples of your appreciation. Tell how much you like what they gave you or did for you. Example: "I used my new luggage already, and it was great. I love the color, sizes, and features. You knew just what I would like." Express your feelings. Let the recipient know how you feel in general, whether you're grateful or touched, it's nice for anyone to hear about the impact they made if they went beyond material gain (which it usually does.) Example: I'm so grateful for your help that I nearly tore up—I won't forget how generous you were. Properly close. 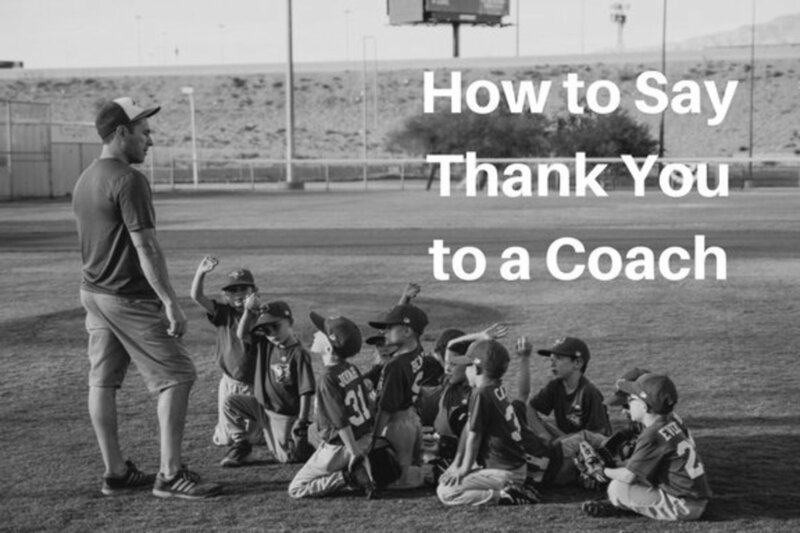 Even though the whole point of your message is to say thanks, make sure you close with the proper wording. Close with a "thanks" or "thank you" to emphasize how thankful you really are. 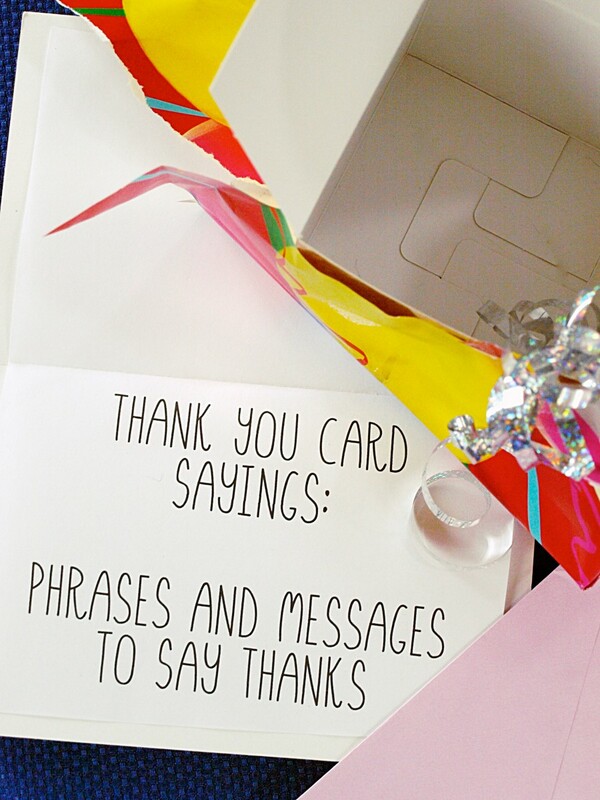 You can use these common words for your thank you card messages. These words will likely get you headed in the right direction if you're at some kind of loss. What is the most important reason for giving a thank you card or note? It's a gesture of sincere gratitude that feels good to express. My mom taught me to, and I don't want to look like a bad person. It makes it more likely the person will want to continue generosity toward me. Thanking a person can improve the relationship. It helps me be more grateful. thank you so much i am so blessed and am grateful of the gift that you have gotten me i love it and i hope i can help you or do soemthing for you next time or get you something. These phrases have helped me choose the perfect words to say in my time of sorrow. This has been helpful, i found all i needed thanks you! thank you for your awesome ideas! thank you so much! Wow! Thank you for helping me to get started. I really appreciated the suggestions. I've searched for the right words in previous searches, but not what I was really looking for. I finally found a site that says it ALL. The words said are very meaningful. Thanks. Thanks, I'm always looking for ideas when I have greeting cards to write. This is really helpful. Many great ideas here; thanks for sharing. Lots of good ideas here, and found this hub just before Xmas too! Very nice! I will certainly put this to use! Sharing! GRAZIE! This page has helped me a lot in my efforts to say nice things to people who made things difficult for me. 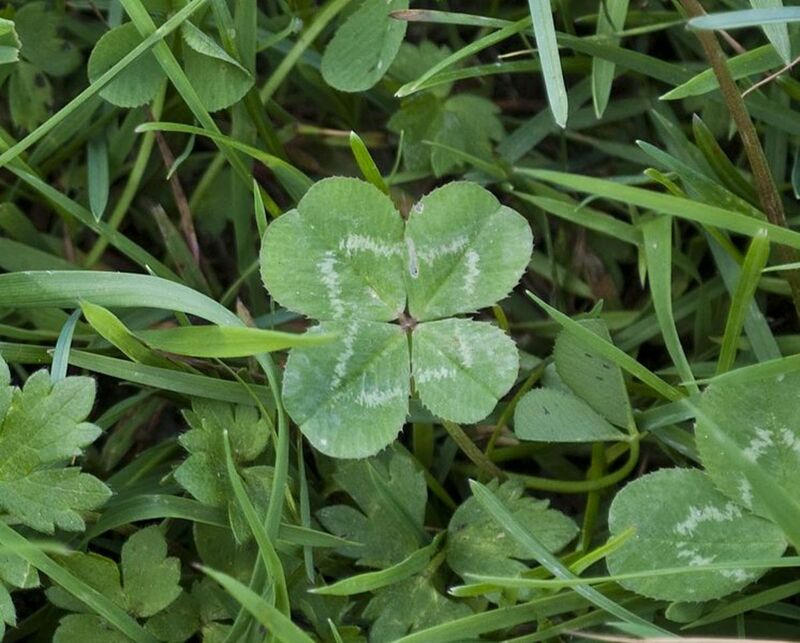 Good luck to those ungrateful ones, may they experience great joy in tormenting me. can u post a thank you messages to an organizer who organized a fund raising event to needy beneficiaries..?.. It's very nice. Helped a lot. Thanks for the great ideas it really help me to finally send my thank you notes . This helped me take care of some late Christmas thank you notes! I enjoyed reading ur thnx card... Thank you!!! Great ideas for thank-you notes! Hey, I need to come back and read this every once in a while! Thank you for enjoying my cards, too. I'm joining your club now. Great hub and wonderfull ideas for thank you cards.